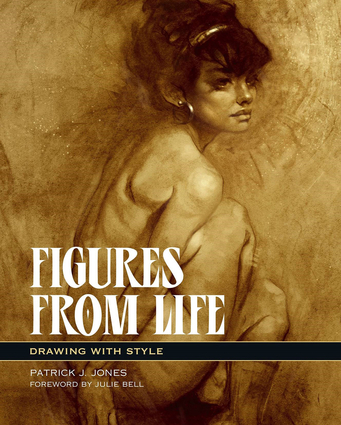 The book is an in-depth exploration of life drawing—covering gesture, short and long poses, foreshortening and contrapposto, and more—and delves into its more challenging aspects: such as measuring with rhythm, drawing with feeling, and developing a style. Packed with step-by-step, all-new drawing demonstrations and insightful commentary, the book also includes Patrick's most recent anatomy and drawing study sheets, which feature essential notation, style tips, and at-a-glance memory clues. This re-creation of the artist's successful live drawing workshops will enable both beginning and advanced artists to rapidly accelerate their skills and learn to draw with ease and confdence. Patrick J. Jones is an award-winning sci-fi and fantasy artist and teacher. His work is collected and published worldwide and his client list includes companies such as Disney, Lucasfilm, and Roc books. He is the author of The Anatomy of Style and Sci-Fi & Fantasy Oil Painting Techniques. Julie Bell is a fantasy artist. She lives in Allentown.